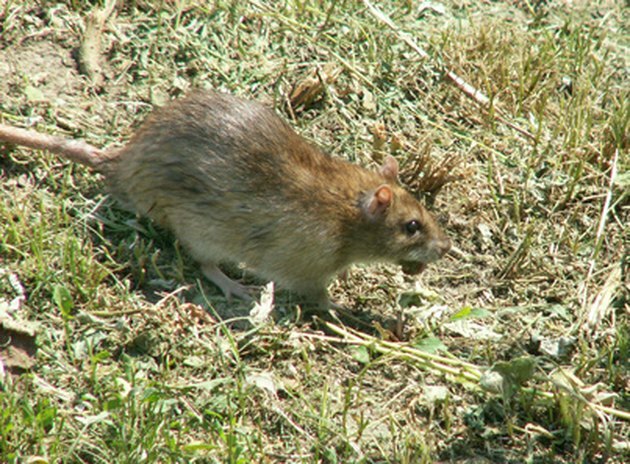 Rodents can cause a great deal of damage to your home or garden. Rats, mice and squirrels can scavenge food that humans throw away and can become a major problem if left unchecked. An electronic trap will kill rodents quickly and humanely, as death is instantaneous. An electronic trap is a way of quickly ending a rodent infestation. Electronic traps are an efficient cost-effective way to prevent any major damage to your home or garden. An electric trap will kill a rat instantly. Buy an electric rodent trap from your local hardware or supply store. Electric traps are often slightly more expensive than poison-baited or spring-loaded traps, although they can be reused. Set the trap somewhere that you know the rodent regularly appears. Rodents are, by nature, shy animals and rarely venture away from the sides of rooms. Place the trap against a wall to increase your chances of catching it. Bait the trap with some fresh fruit or vegetables. A rodent will not venture into a trap to get something readily available elsewhere, so do not use something from your garden or other potential food source. Peanut butter is an attractive option to many rodents. Place the lid down on the trap and leave. It may take a few days for the rodent to enter the trap, so you should be patient. Check the trap at least once every 24 hours and empty into an outdoor trash can to dispose of the body.